The 2019 BUCS Nationals championships will go down as the most successful individual championships in University of Nottingham history with 20 medals, including 8 golds. Following 3 days of action, across 7 sports and with 148 University of Nottingham students competing it is remarkable to see how far everyone has pushed themselves. There have been students recovering from injuries, those who have worked tirelessly to get back to competing from lengthy times away from their sport. Students for whom this is their first championships and first taste of what it is like to represent the Green and Gold. Those who have achieved personal bests and are only now getting a flavour of what they are capable of. The team behind the team who have cheered, supported, coached, bandaged, massaged, hugged and encouraged from a distance. All coming together as one. The results spoke for themselves and as the curtain fell on the final day there was a real sense of achievement from the team that had almost doubled last years Championship medal haul. When the final day of the BUCS National Championship got underway the action came thick and fast across 7 sports. There was a full complement of badminton singles, doubles and mixed doubles to enjoy at EIS and the team recorded 5 medals including a gold for Li Lian Yang who successfully defended her BUCS title. When John Torgjussen woke up on Sunday morning he knew we would become a BUCS medallist at the first time of asking but the question was which colour. He faced the top seed in the semi-final and was defeated by Sam Parson who was the eventual winner. However, Torgjussen exploits had been enough to earn a bronze, his first BUCS championship medal. Fresh from their Mixed doubles comeback last night, Sam Smith and Serena Midha progressed to the semi- finals with a straight sets victory against Mike Roe and Jess Hopton (21-12 21-8) which guaranteed their bronze medal. 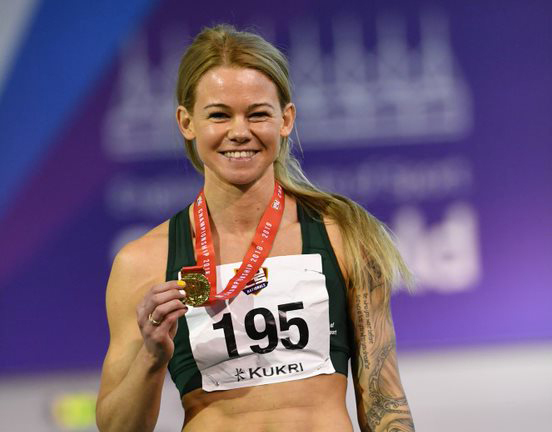 Phone Naing and Emily Westwood joined them and despite coming close to booking a spot in the final, their semi-final defeat added yet another bronze medal to the growing tally. 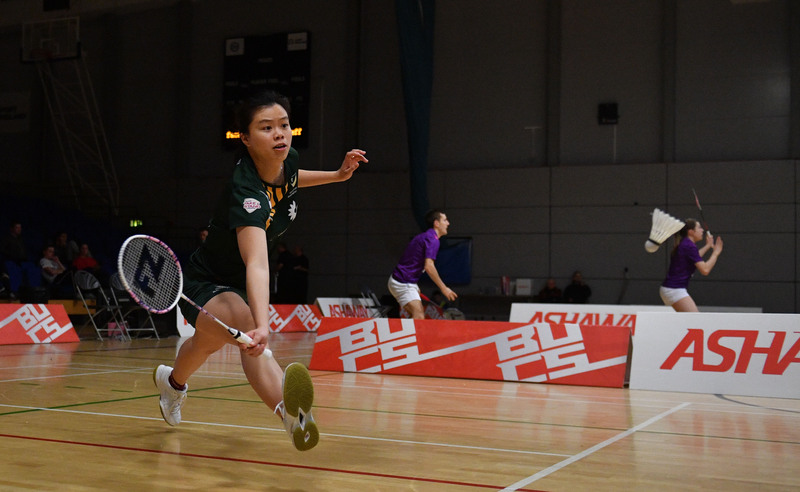 It had already been a successful day on the Badminton court for University of Nottingham when Li Lian Yang stepped up to make it a whole lot better. The veteran scholar took on Kirby Ngan beating her 21-7 21-8 to set up a final against Lyddia Cheah from University of Derby in the final. Li Lian made light work of her old adversary, who she has played multiple times at BUCS Championships over the years to win Gold in front of a packed crowd – her third straight title. It is remarkable that Sam Smith is even competing this weekend following an injury he sustained just days before the Championships and his pairing with James Youle in the Men’s Doubles had looked strong all weekend. Today however, they met their match in Alex Dunn and Ben Torrance who progressed to the Semi’s winning 21-10 21-18. Emily Westwood and Li Lian Yang faced top seeds Jennifer Moore and Viki Williams from Loughborough in their semi-final. After a slow start they got back into the match and drew level in the second set, but the deciding points were taken by Williams and Moore and the girls had to settled for a well-deserved bronze medal. 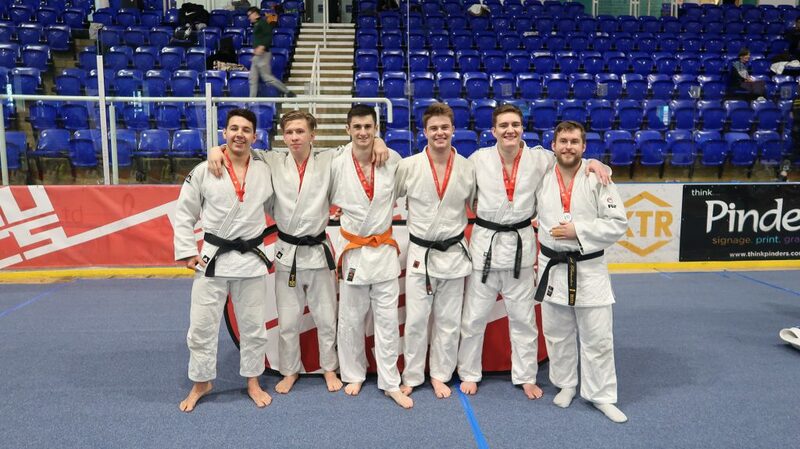 Waking up on a high from Saturday’s success, the karate club headed to Ponds Forge for the Individual Kumite. The Karate team were pumped from yesterday’s golds in the team and individual kata. The support was loud from the Green and Gold as Yuhong Duen, made it to the final of novice womans kumite, -57kg category, earning a silver novice medal. There was another novice medal from kumite, Brad Tai won bronze. Yesterday’s kata double gold winner, Dylan fought in the advanced male kumite. There was also an unfortunate injury for last years bronze medallist Jack Goody who was competing in the semi-finals when he dislocated his patella, forcing him out of the competition. In Senior medals, Jas Mehat won a bronze medal in the male U60kg Kumite senior, despite weighting in 6kg underweight. Aaron O’Neil Smith U67 Mens senior Kumite bronze and Jaydon Knight won a bronze in the Mens senior kumite 84+kg. The Men’s Judo team competition, comprising of 5 men from different weight categories, took place in the ICE centre. 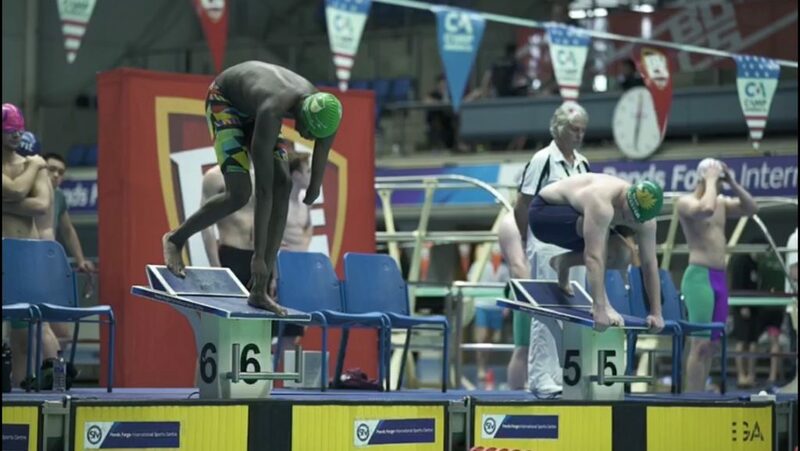 The University of Nottingham team qualified second in the poole, however, Daniel Jackson sustained an injury whereby he was unable to compete for the rest of the day. This meant Cameron Jackson was brought in as substitute and had to fight up two weight categories, Cameron rose to the challenge to win every bout! In the finals, Nottingham were victorious over Oxford in the quarter finals and again against Cambridge in the semis. They then met Bath in the final to where they took the silver medal. U66 Stuart Denton, U73 James Johnson, U81 Alan England, U90 Adam Watson, O90 Dan Richardson, O90 Cameron Jackson. At Graves all eyes were on UoN scholar Marius Braun in the Men’s Foil. The Team World Foil Winner with Germany in 2013 is currently ranked 136 for the International fencing federation and he made light work of the early stages beating Matthew Cowley 15/4 in the last 64. Despite his efforts, Braun sustained a nasty ankle injury during a lunge in the lead up to his last 16 knockout match and subsequently fell to Benjamin Bates 15/12 , effectively ending his tournament and medal hopes. Alex Jones and Daniel Kiss also reached the late stages of the FOIL but failed to progress any further in the competition, despite progressing through a tough and talented field to reach the last 16 with superb performances. There was an all Green and Gold match-up in the last 64 of the Women’s Epee as Amber Moss was drawn against Wing Kwan Yuen following the rankings which were dictated by the early poules. Wing Kwan Yuen proved too strong for Moss in the contest and landed a 15/11 victory. The margins were in finer in the other last 64 match up with University of Nottingham’s Michelle Ngu narrowly beating Lucrezia Gentili from Anglia Ruskin 13/12. Keziah Moore will feel unfortunate to have drawn top seed and eventual winner Caitlin Chang in the tableau of 64 but it was great experience for the Nottingham fencer against the best in the category. Wing Kwan Yuen was unable to stop Victoria hide Hide from moving into last 32 conceding 15/10 and similarly Michelle Ngu came up just short against eventual 5th place Katie Van Riper. A Superb experience for the girls and an amazing effort all around at the Graves Tennis Centre. The swimmers were up early for their heats in the morning at Ponds Forge and the day started brightly with Nova Scholar Cira Fletcher finishing 3rd in her 100m Breaststroke heat with a time of 1:14:00. Fletcher finished 10th in her final race. In the final Price swam an improved 1.03.50 which placed her 6th overall. Michael Rees swam his 100m backstroke heat in 59.51 finished 4th and went on to go faster in the final with a 59.31 to finish 9th overall. Already decorated with a bronze medal from Saturday, Oludaisi Adefisan, headed to Ponds Forge for the final time this weekend. “Daisi”, swam a 1:20.28 in the 100m Backstroke to win BUCS Gold. Over on the track at EIS, the athletics team continued to set personal bests with James Alexio knocking over a second off his personal best in the 200m. 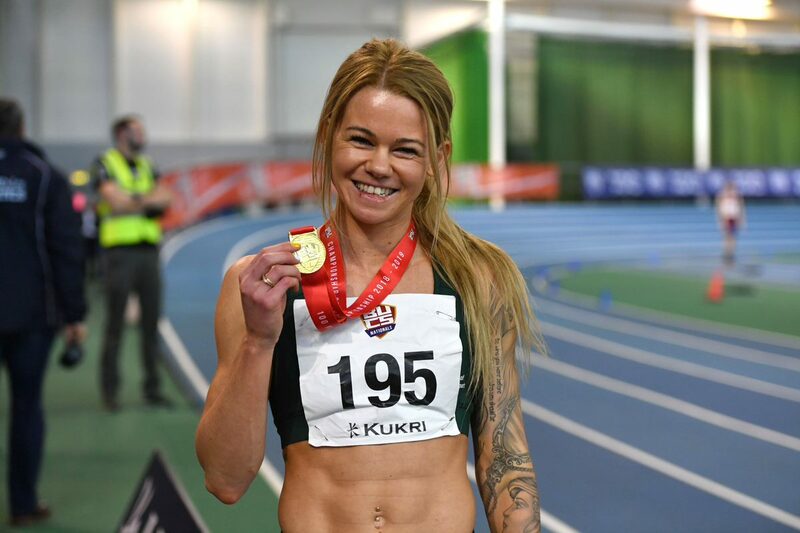 There was much anticipation for the 200m women’s final and just a week on from winning the British Indoor Championship, Hayley Mills was looking to add to her BUCS medal tally. Despite being hampered with fatigue going into the race, the PhD student handled the pressure well and ran a blistering 23.49 to take the gold medal, leaving the rest of the field trailing in her wake. Not only did she surprise herself with the outstanding time in the circumstances, but she had just beaten her own BUCS record set in the heats earlier in the day. Attention will now turn to BUCS Big Wednesday, the end of the road for the BUCS team sports, with 52 matches set to be hosted by University of Nottingham at David Ross Sports Village and other Nottingham venues on 27st March 2019. At the time of writing, the University of Nottingham Climbers were yet to register their results. The team led out by Leona Goodey and Henry Todman were in competition at the Works climbing centre in Sheffield.